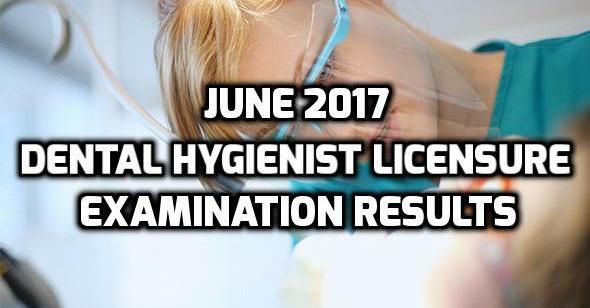 The results of the June 2017 Dental Hygienist Licensure Examination are available after two working days of the scheduled exam. The Professional Regulation Commission (PRC) announced the list of passers already. According from the commission, 47 applicants took the board examination and 36 of them passed. The Board of Dentistry administered the exam taken in Manila this month. 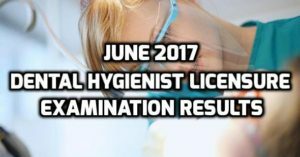 The PRC likewise announced that the issuance of Professional Identification Card (ID) as well as Certificate of Registration will be on June 27, 2017. It is important for the passers to complete the necessary requirements and must visit the official website of the commission to follow the instructions. The PRC will also announce the schedule of the oath-taking ceremony soon.